As the EU Referendum polling date nears, we thought we’d give a short update on markets and some changes we have made to our own positioning to address the risks involved. Firstly, we are glad to say that our core views have not changed from our original April Brexit review (Brexit – What we do and don’t worry about). For sure, short term there will be pain if the UK chooses to leave. Longer term you can plausibly make the case that the UK would be better off staying in because of the economic benefits of global trade and inward migration. However, we think the UK can also survive and prosper outside the EU umbrella. The economic reality is likely to be less dramatic than the campaign hyperbole. 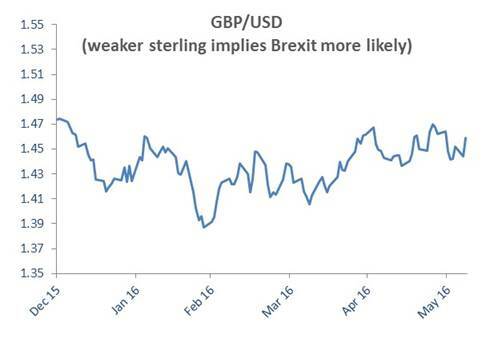 From a market perspective we are tracking sterling, the polls and the betting markets to see how likely an exit from the EU is. The reality is not much has changed since we wrote our note in April (see the charts below). 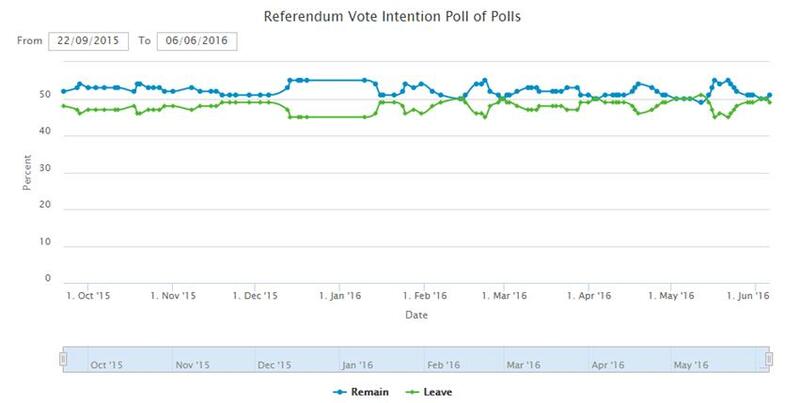 Polls today (based on the average of the last 6 polls taken) show a small lead for remain, as they did in April. The betting markets show around a 25% chance of exit today vs 33% in April. Sterling is a little stronger but in reality has traded in a fairly narrow range against the US dollar recently and is today about 1% weaker than when it started the year. The reality though is that the TV debates could have a material impact and the Leave campaign, having had a dreadful start to their campaign, look to be picking up some momentum. Putting it a different way, a 33% chance of leaving is equivalent to rolling a 1 or a 2 on a single dice throw. 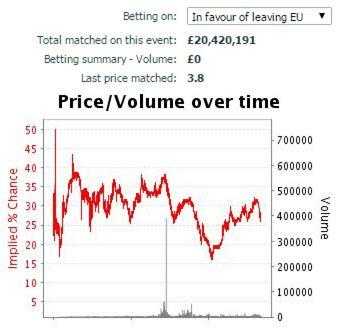 The polls and the betting markets are telling you Brexit could still easily happen. From a positioning perspective, we remain short sterling for our sterling clients to give some protection in this event. We have also been working to reduce our exposure to volatile equity markets where prices can swing sharply following the pronouncement of a central banker or, of more relevance here, the unexpected outcome of a TV debate. 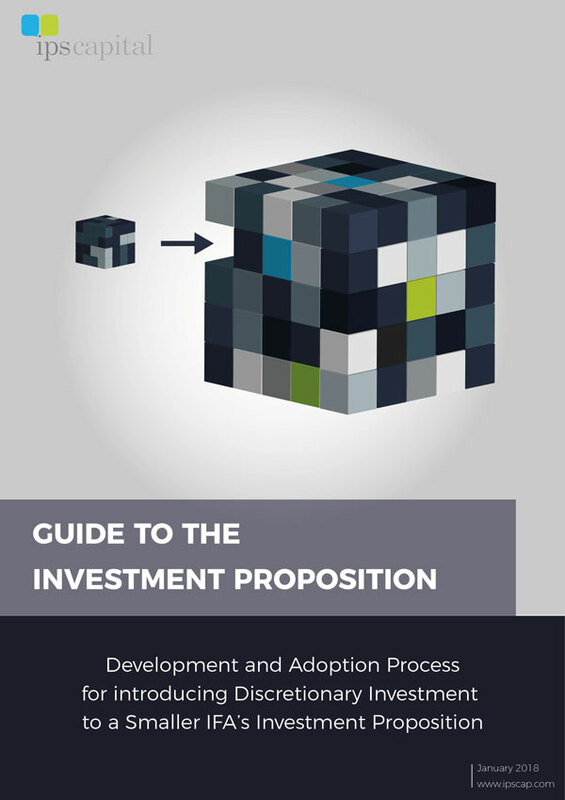 We discuss these changes in our latest blog post (What are the alternatives?). If we are right on these moves we should have cut our overall risk levels without adversely impacting client returns. We have also tactically sold our London-orientated commercial property exposure. If Brexit actually happened, international flows into UK commercial property markets would likely slow as the details of the UK’s new arrangements with the EU were agreed. This would hurt real estate valuations and returns. Should we choose to remain, however, we may look at re-entering. Surveyor based real estate valuations can be slow to reflect changing economic reality. We think there is a good chance we would be able to re-enter our commercial property positions at today’s lower pricing points.